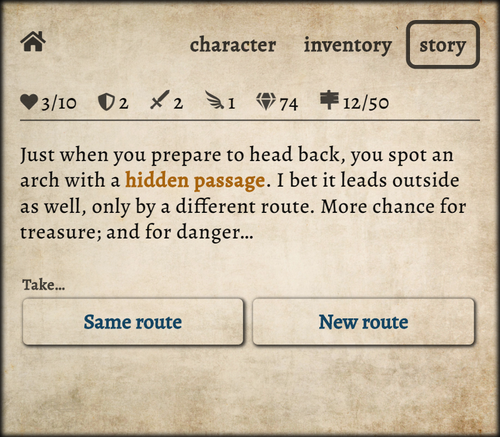 When traveling out of a dungeon, the player can choose between taking the same route or a new one. 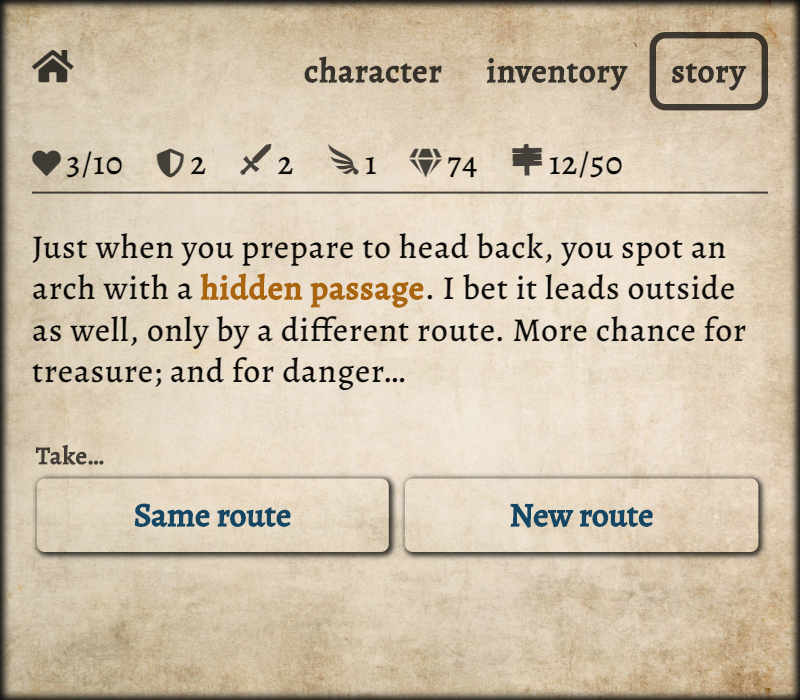 The new one grants another chance of finding loot and treasure, but the same one might have traps that are already neutralized. For example, you can burn down snake tunnels or spider webs and they won't bother you anymore when you return to them. Ring of Life: Heals the character each day on the path. Ring of Brawn: Each attack has a 25% chance of dealing double damage. Ring of Stealth: Character always attacks in the first round of combat. Ring of Mana: Casting a spell during combat doesn't end the round. Ring of Wealth: Increases treasure with 5% each day. Improved the start of the game by lowering the chance of bad weapon combo's. It should now always be possible to pass the first boss, if played well. Thanks for playing and as always; feedback is welcome!